Laid down, 25 January 1963, at Ingalls Shipbuilding Pascagoula, MS.
88k USS Cleveland (LPD-7) under way, date and location unknown. 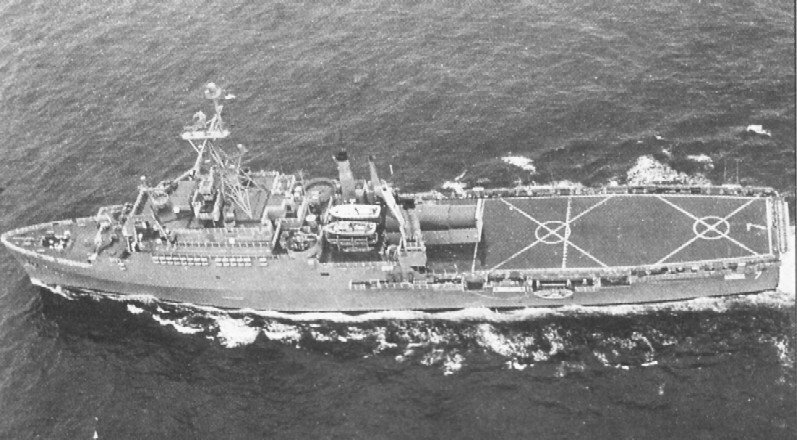 111k USS Cleveland (LPD-7) under way in 1967, location unknown. 70k USS Cleveland (LPD-7), departing San Diego, date unknown. 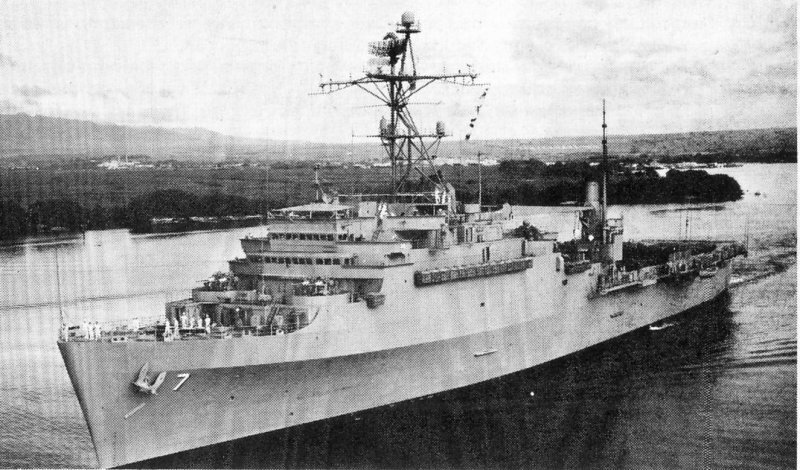 53k USS Cleveland (LPD-7) at anchor, in 1969, location unknown. 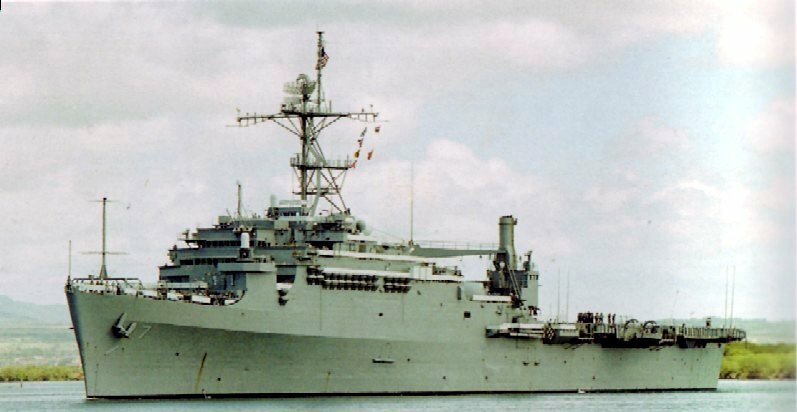 Note UH-34 Seahorse and UH-1 Iroquois helicopters on her flight deck and LCU-1499 about to enter Cleveland's well deck. 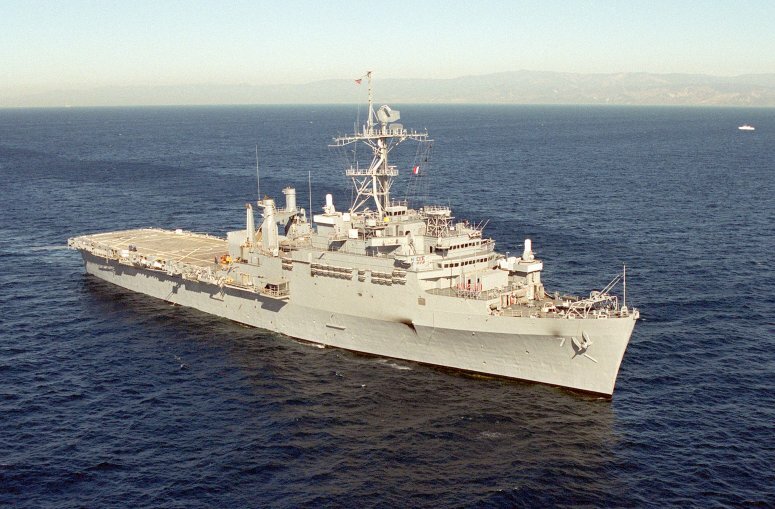 100k USS Cleveland (LPD-7) under way off the coast of Port Hueneme, CA., in support of search and recovery operations for Alaska Airlines Flight 261. 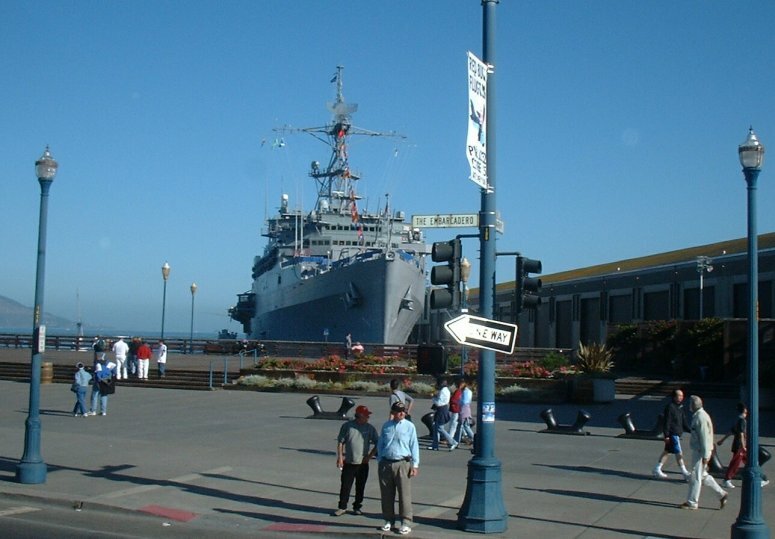 24k USS Cleveland (LPD-7) entering San Diego, harbor in Sept 2002. 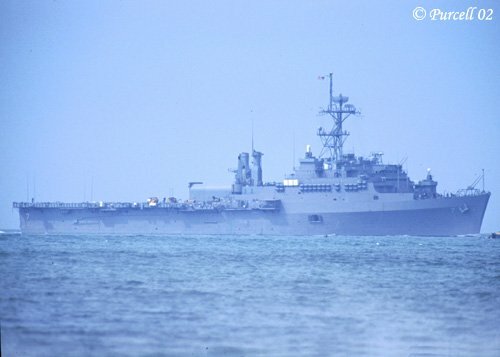 42k USS Cleveland (LPD-7) departing San Diego, outbound to sea loaded with US Marines and AH-1W " Super Cobra" attack helicopters in support of Operation Enduring Freedom, 17 January 2003. 124k USS Cleveland (LPD-7) under way, date and location unknown. Richard Miller BMCS USNR Ret. 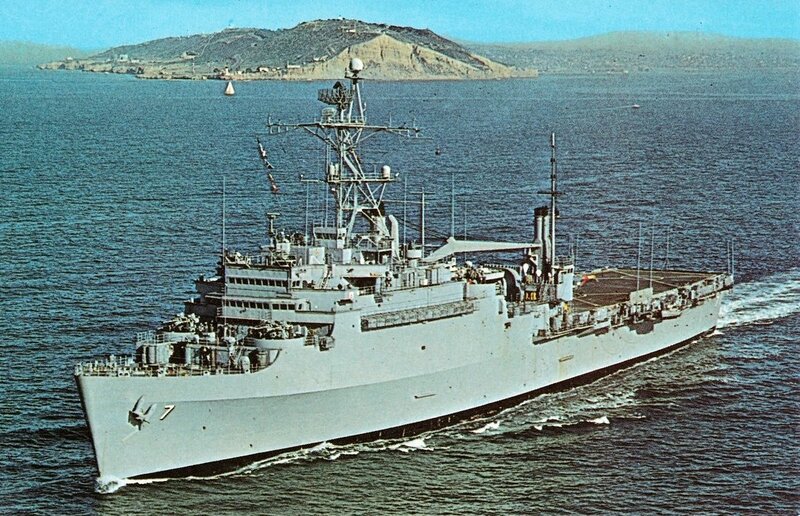 99k USS Cleveland (LPD-7) departing San Diego, CA., date unknown. 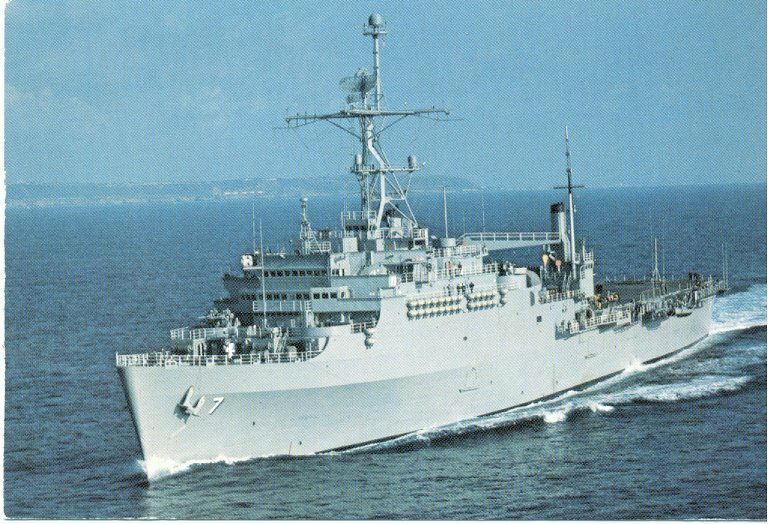 Wendell Royce McLaughlin Jr.
94k USS Cleveland (LPD-7) under way, date and location unknown. 51k USS Cleveland (LPD-7) under way, date and location unknown. 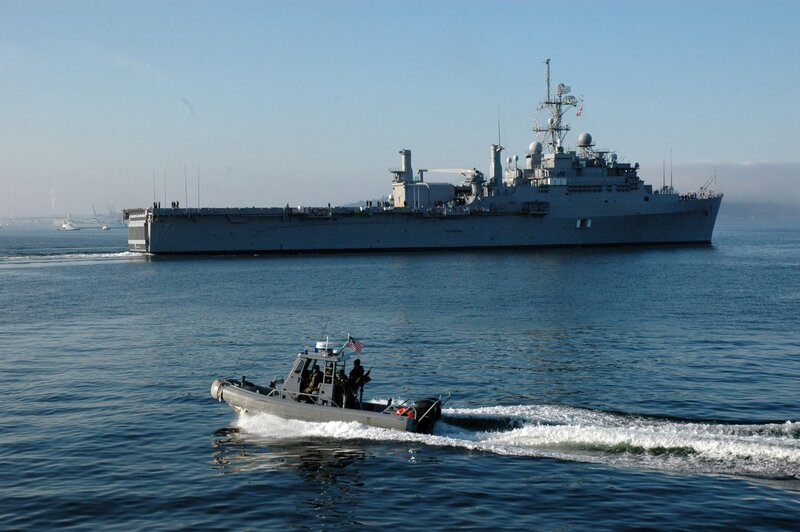 438k A mobile security detachment boat escorts USS Cleveland (LPD 7) away from the pier following her involvement in the 57th annual Seattle Seafair, 7 August 2006. Seafair is Seattle's month-long traditional summer festival, which includes parades, amateur athletics, air shows and boat racing. 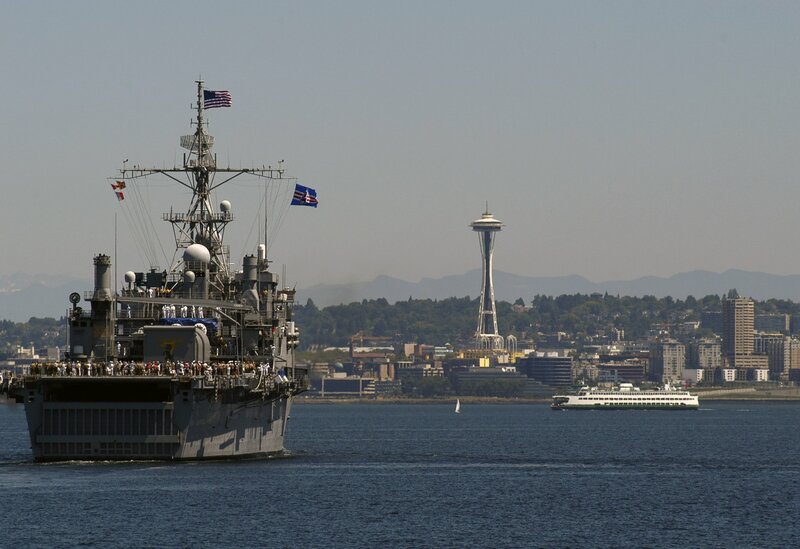 371k USS Cleveland (LPD-7) transits through Puget Sound during Seattle Seafair 2007 on 1 August 2007. 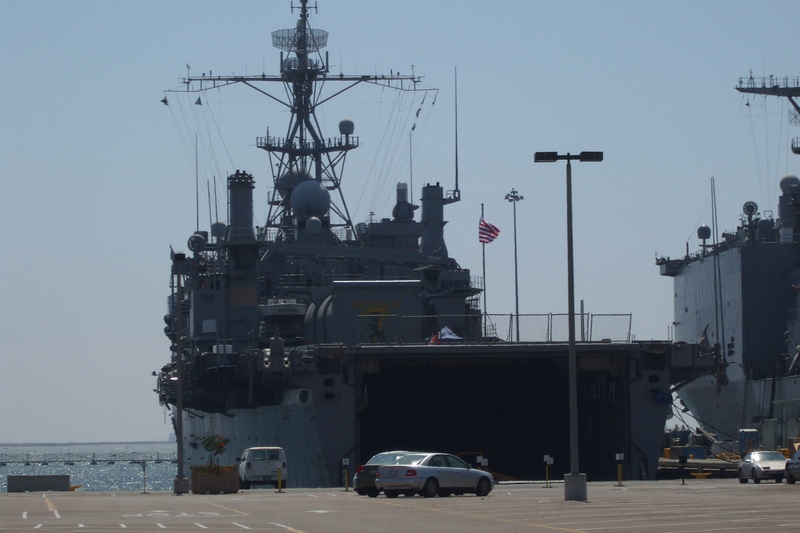 1943k USS Cleveland (LPD-7) moored pierside at Naval Station San Diego, CA., August 2007. 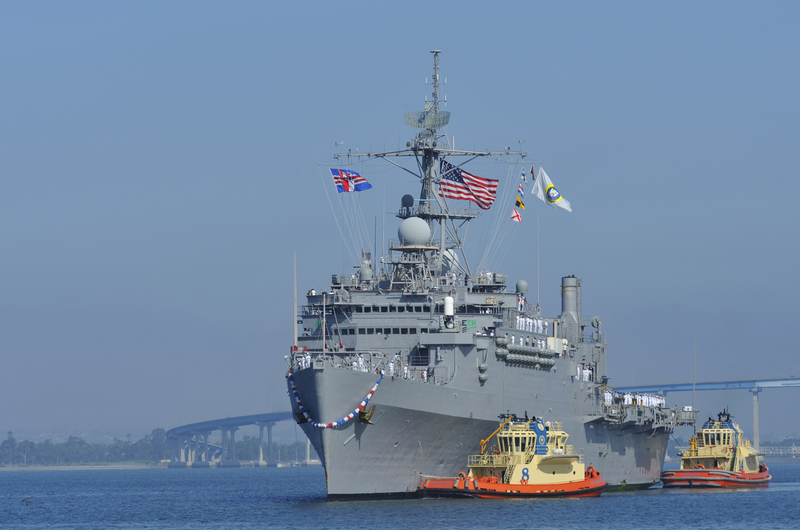 Across the pier is USS Germantown (LSD-42) Richard Miller BMCS USNR Ret. 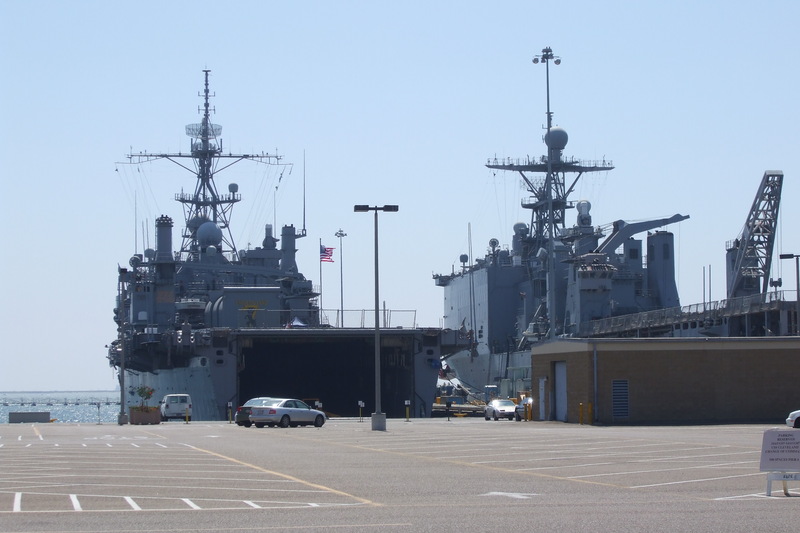 1981k USS Cleveland (LPD-7) (left) and USS Germantown (LSD-42) moored pierside at Naval Station San Diego, CA., August 2007. Richard Miller BMCS USNR Ret. 737k Indian Ocean, 18 December 2007. CAPT. 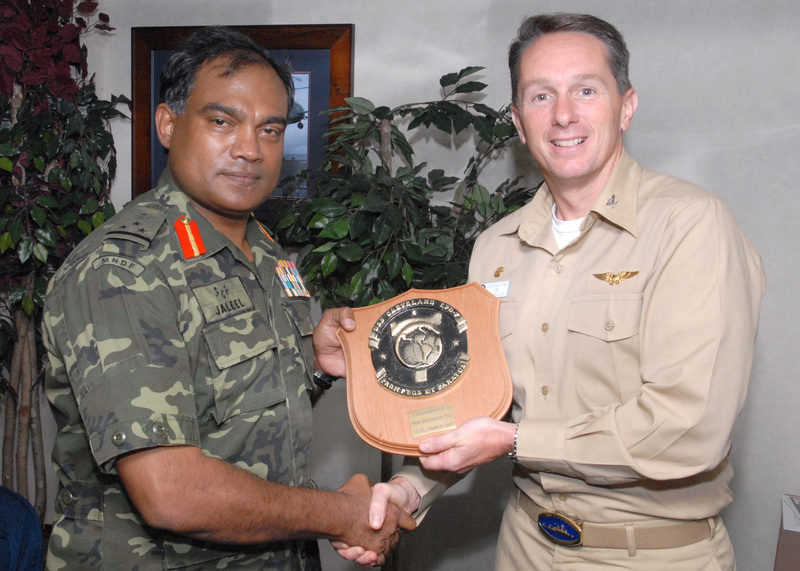 Billy Hart, USS Cleveland (LPD-7)'s commanding officer, presents a plaque to Brigadier General Moosa Ali Jaleel, Commanding General of Maldives National Defense Force's Quick Reaction Force. Marines from the Combined Logistics Battalion (CLB 11) and Cleveland's medical personnel are participating in Coconut Grove, an exercise to enhance capabilities and interoperability between US forces and MNDF. 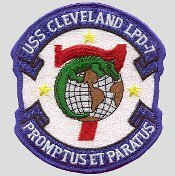 Cleveland, embarked with Marines from CLB 11, is currently assigned to the Tarawa Expeditionary Strike Group (ESG) and is on a scheduled deployment to the 5th and 7th Fleet areas of responsibility. 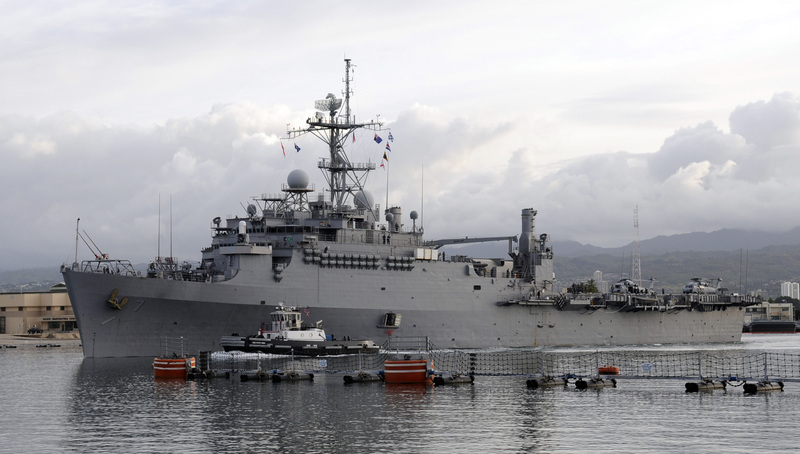 2064k USS Cleveland (LPD-7) arrives at Joint Base Pearl Harbor-Hickam to support Rim of the Pacific (RIMPAC) 2010 exercises. RIMPAC is a biennial, multinational exercise designed to strengthen regional partnerships and improve multinational interoperability. 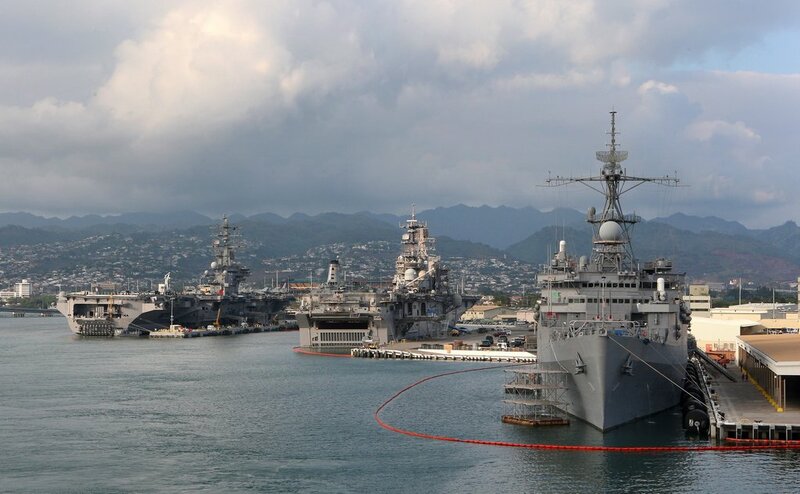 115k The aircraft carrier USS Ronald Reagan (CVN-76), left, the amphibious assault ship USS Bonhomme Richard (LHD-6) and USS Cleveland LPD-7), 28 June 2010, pierside at Joint Base Pearl Harbor-Hickam to support Rim of the Pacific (RIMPAC) 2010 exercises. 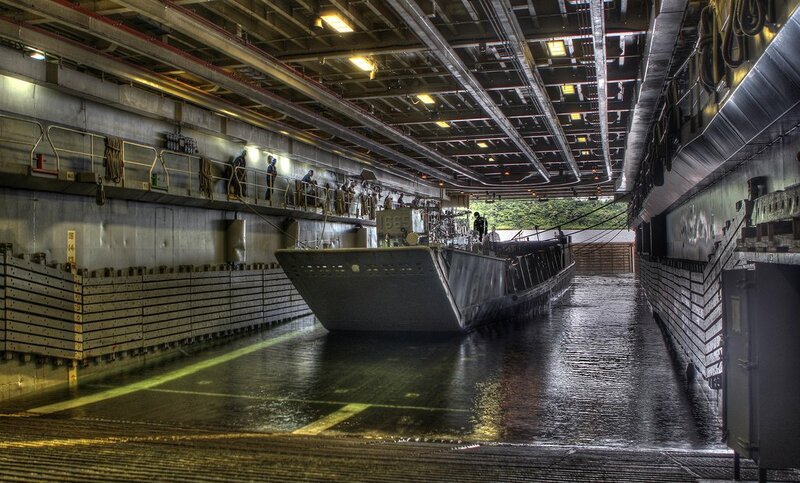 Royal Australian Navy photo by ABIS James McDougall (# 100628-O-8247M-134). 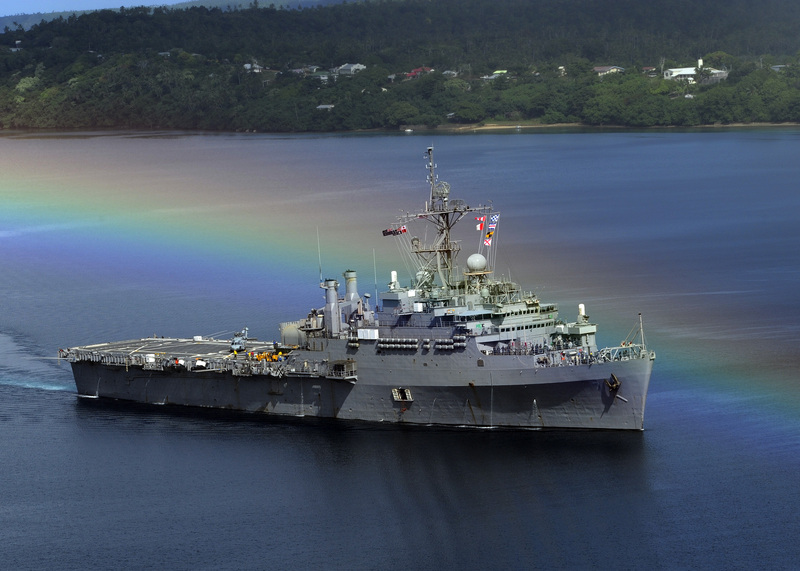 1498k USS Cleveland (LPD-7) returns to Joint Base Pearl Harbor-Hickam after participating in Rim of the Pacific (RIMPAC) 2010 exercises. 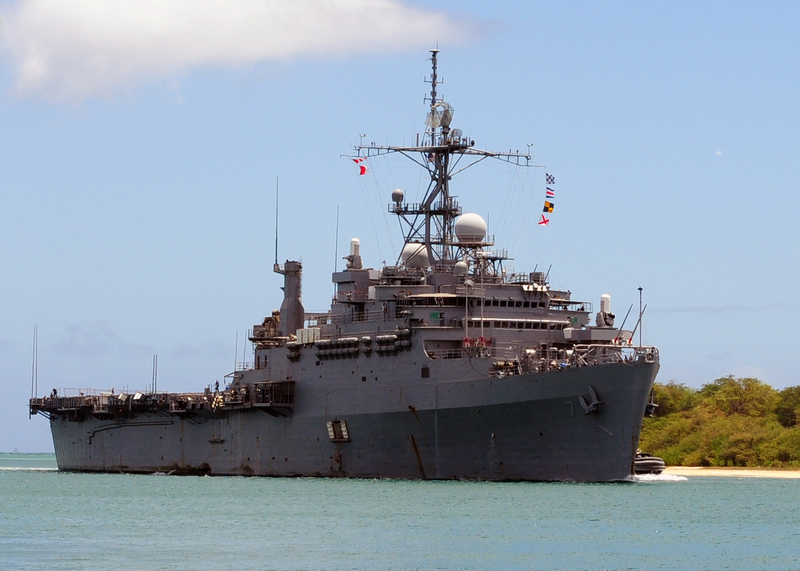 537k USS Cleveland (LPD-7) departs Joint Base Pearl Harbor-Hickam after a scheduled port visit. 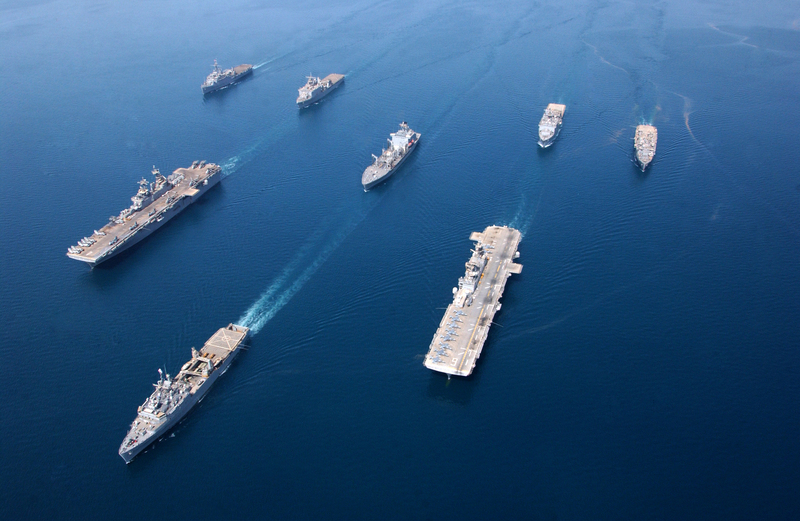 Cleveland is the flagship for Pacific Partnership 2011, which will visit five island nations this summer: Tonga, Vanuatu, Papua New Guinea, Timor-Leste, and the Federated States of Micronesia. 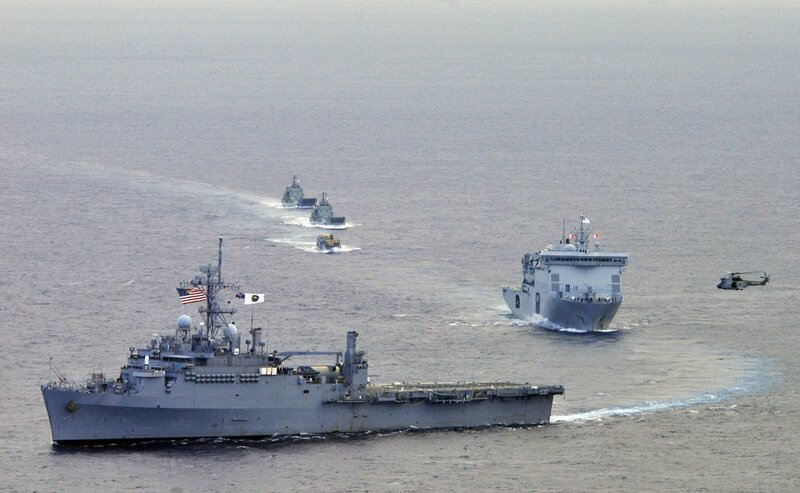 Pacific Partnership 2011 is a humanitarian assistance initiative, which promotes cooperation throughout the Pacific. 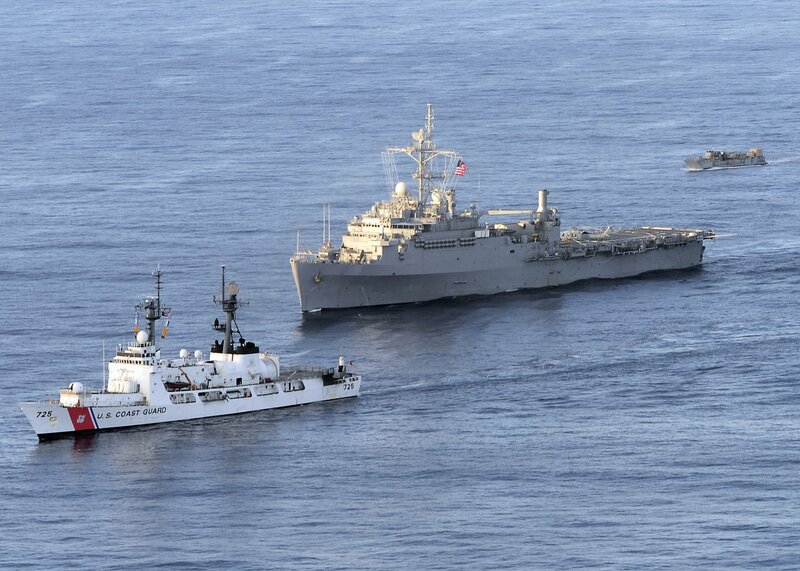 327k U.S. Coast Guard cutter USCGC Jarvis (WHEC-725), front, USS Cleveland (LPD-7) and LCU-1665 head toward the Kingdom of Tonga to begin the first phase of Pacific Partnership, 13 April 2011. 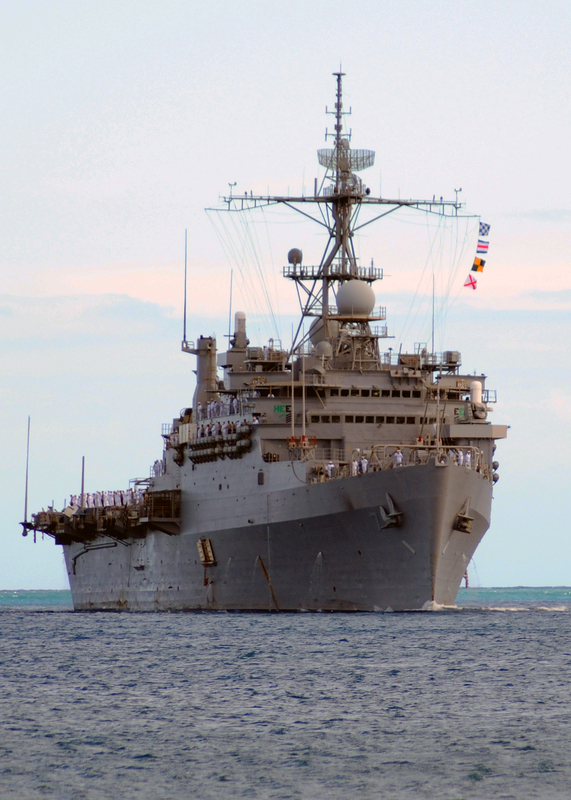 Pacific Partnership is a five-month humanitarian assistance initiative that will make port visits to Tonga, Vanuatu, Papua New Guinea, Timor-Leste, and the Federated States of Micronesia. 110413-F-HS649-736 1512k USS Cleveland (LPD-7) transits toward the Kingdom of Tonga to begin the first phase of Pacific Partnership 2011. 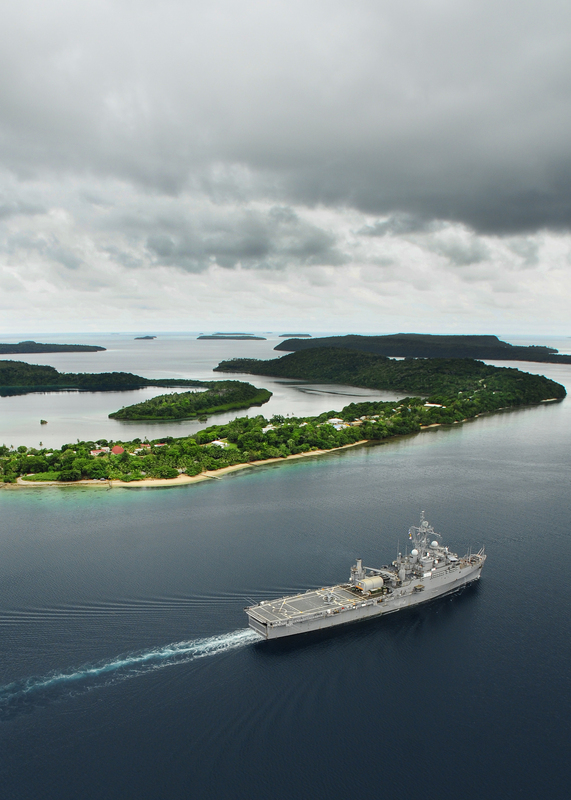 1899k USS Cleveland (LPD-7) pulls out of Tonga after completing the first mission of Pacific Partnership 2011. 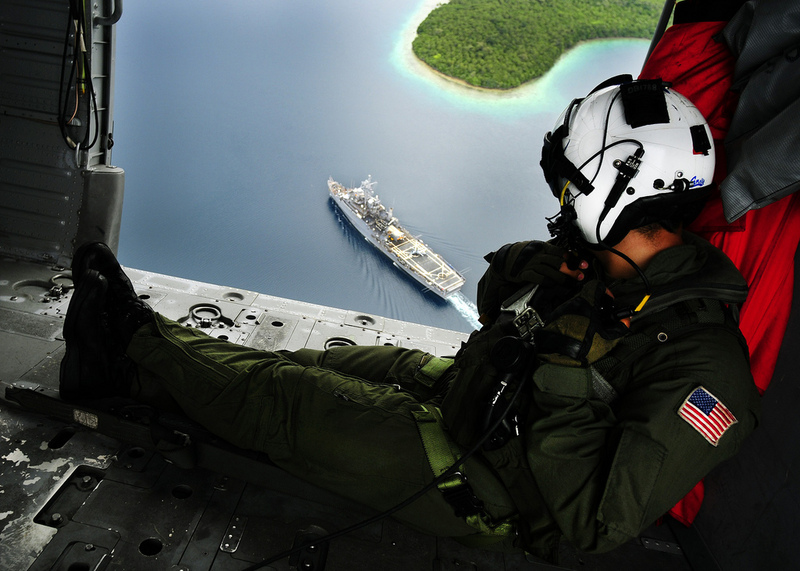 353k Naval Air Crewman 2nd Class Bowen Derik attached to Helicopter Sea Combat Squadron 23 (HSC-23) "Wild Cards" watches USS Cleveland (LPD-7) as she pulls out of Tonga, 23 April 2011, after completing the first mission of Pacific Partnership 2011. 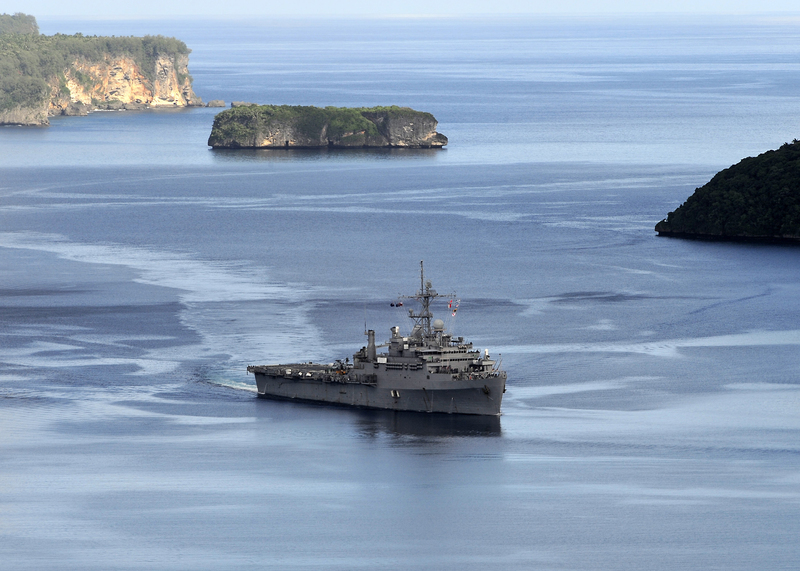 Pacific Partnership is a five-month humanitarian assistance initiative that will make port visits to Tonga, Vanuatu, Papua New Guinea, Timor-Leste, and the Federated States of Micronesia. 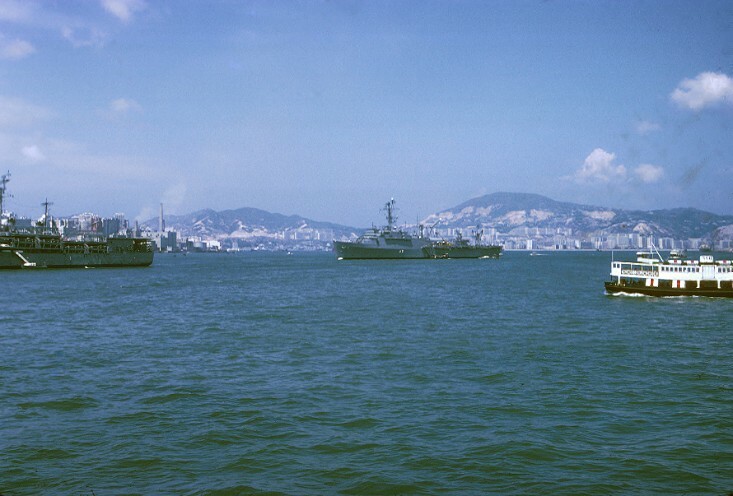 260k USS Cleveland (LPD-7) leads the Royal New Zealand Navy multi-role vessel HMNZS Canterbury (L421), a French military Puma helicopter, Landing Craft Utility LCU-1665, and the Royal Australian Navy landing craft heavy HMAS Balikpapan (L-126) and HMAS Betano (L-133) during a transit of Segond Channel. Cleveland is participating in Pacific Partnership 2011, a five-month humanitarian assistance initiative that will visit Tonga, Vanuatu, Papua New Guinea, Timor Leste, and the Federated States of Micronesia. 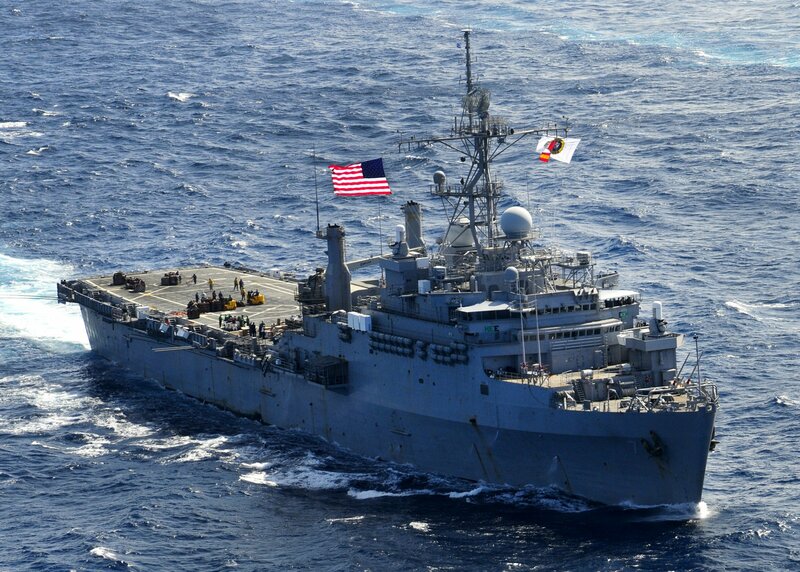 756k USS Cleveland (LPD-7) transits the Pacific Ocean during Pacific Partnership 2011. 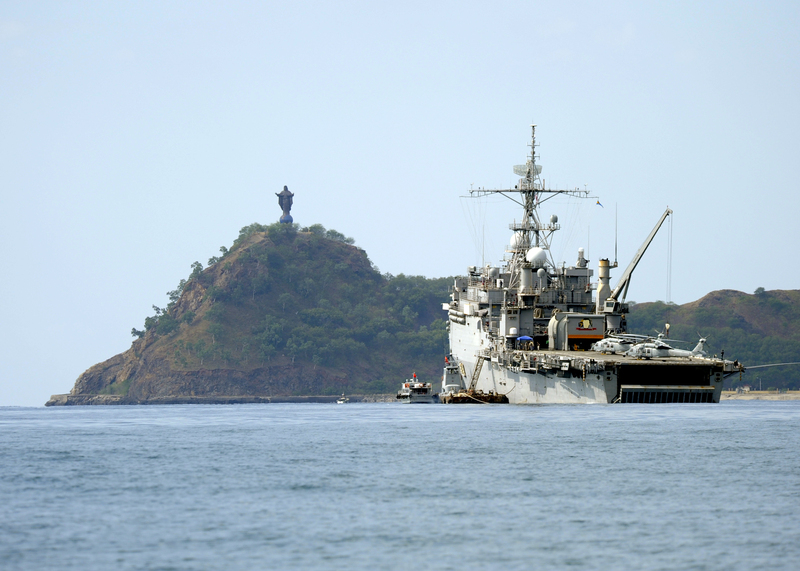 1734k USS Cleveland (LPD-7) at Timor Leste for Pacific Partnership 2011. 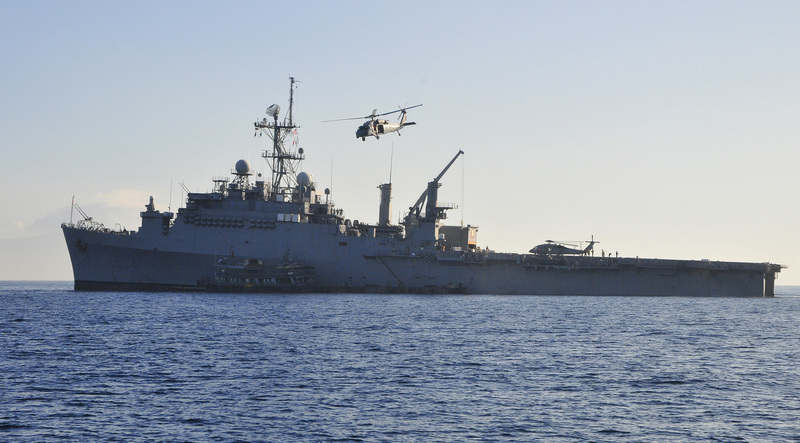 734k An MH-60S Sea Hawk helicopter departs USS Cleveland (LPD-7). Cleveland is the flagship for Pacific Partnership 2011, which will visit the islands of Tonga, Vanuatu, Papua New Guinea, Timor-Leste and the Federated States of Micronesia. 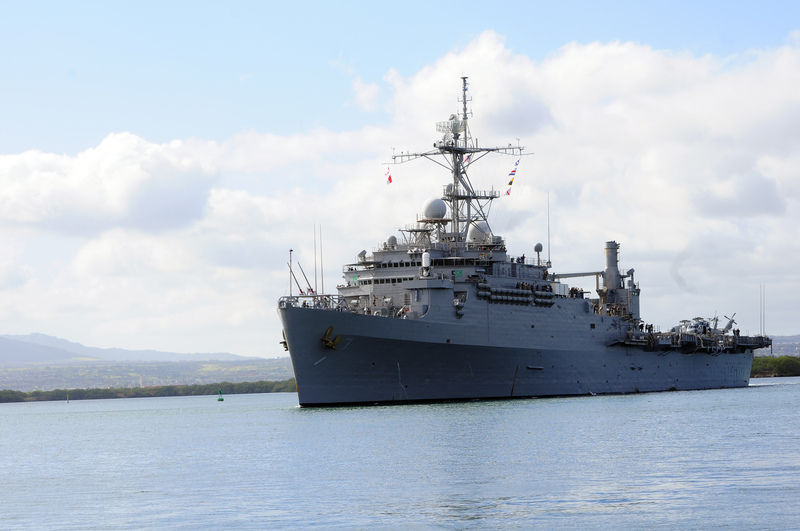 916k USS Cleveland (LPD-7) departs Joint Base Pearl Harbor-Hickam on her final deployment. 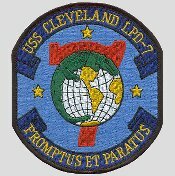 Cleveland recently participated in Pacific Partnership 2011 and is scheduled to be decommissioned later this year, following 44 years of service. 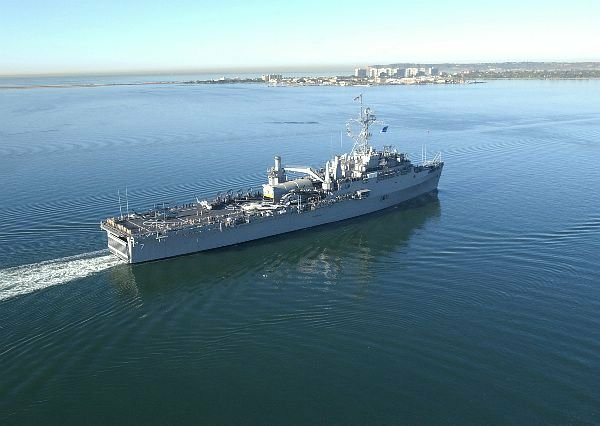 2190k USS Cleveland (LPD-7) returns to San Diego after a five-month deployment as part of the Pacific Partnership 2011 humanitarian mission. 160k CDR. 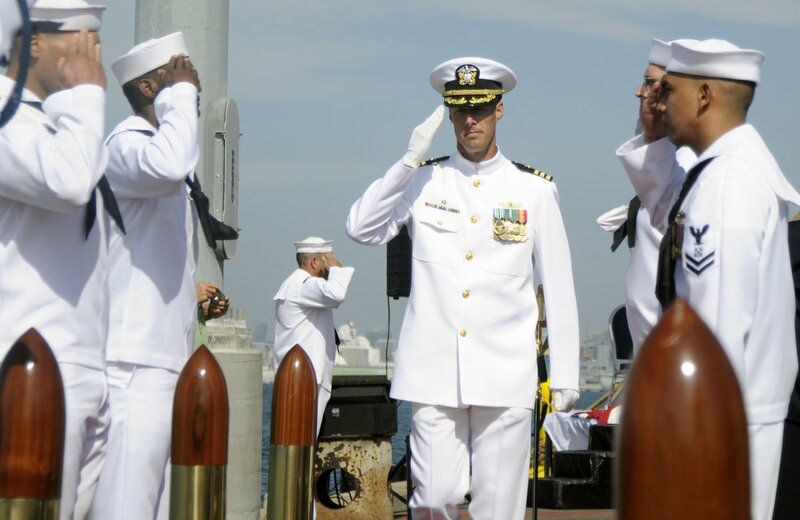 Christopher J. Kipp, commanding officer of USS Cleveland (LPD-7), gives a final salute during the decommissioning ceremony for Cleveland at Naval Base San Diego. 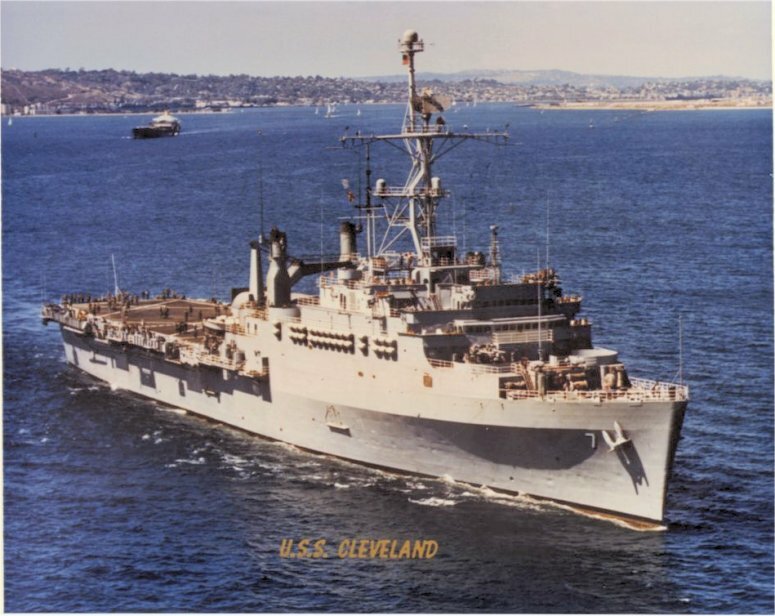 Cleveland was decommissioned after 44 years of Naval service.